Our goal is to promote the highest standards among Golden Retriever owners and breeders as referred to in Article 1, Section 2, of the Yankee Golden Retriever Club Constitution and Bylaws. We will adhere to the rules of good sportsmanship in all dog-related competitions and activities. We will encourage and assist novice exhibitors, handlers, and breeders. We will provide all of our dogs a clean and safe environment with food, shelter, healthcare, and attention, and we will abide by accepted practices for the humane treatment of all dogs. We will emphasize good temperament and soundness, as well as conformation and ability, when breeding. 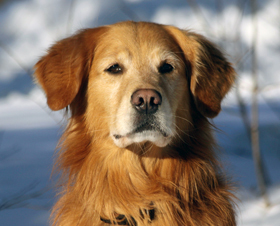 We will screen for genetic defects according to the guidelines of the Golden Retriever Club of America (GRCA), and will refuse any mating not in the best interests of the breed. We will keep accurate records for health, longevity, breeding, registration, and pedigrees, and make this information available through appropriate online databases (such as OFA, CERF, K9DATA, GoldenDNA). We will provide complete information to other breeders and to the buyers of all puppies and adult dogs. We will fully explain to prospective buyers the responsibilities and inherent problems, as well as the joys of Golden Retriever ownership. We will encourage spaying or neutering of all puppies sold primarily as pets, or sell these pups with the American Kennel Club (AKC) Limited Registration. We will encourage purchasers to register their puppies with the AKC, to screen for genetic defects according to GRCA guidelines, and to make the results of such testing available through online databases. We will not knowingly sell to commercial outlets or retailers (pet shops, mail order enterprises, brokers, etc.). We will agree to take back or help place any dog of our breeding which a purchaser may have to return at any time and for any reason. We will respect the reputation of other breeders and club members.